Aputure Sidus Link is a new networking feature that the company is going to be building in to all their new lighting fixtures. 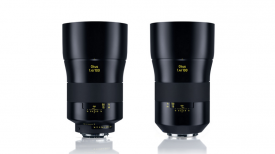 It enables centralised control of all the Aputure lanterns you might be using on set. 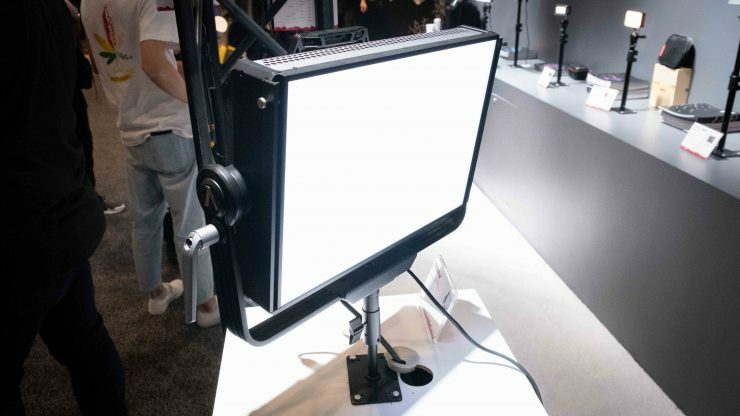 All Aputure lights in the future will feature WiFi and Bluetooth and will build out their own mesh network when they see other compatible fixtures. 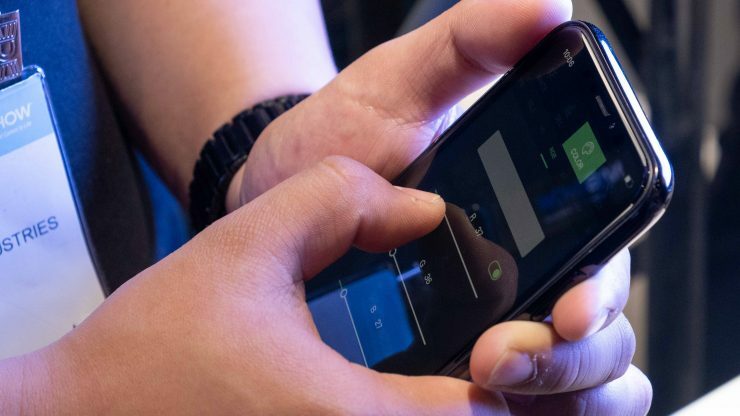 The tech is designed to be more resilient than either Bluetooth or WiFi on their own. 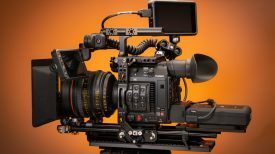 With Aputure’s implementation the network (and more importantly the settings on each light) are maintained even if the controller (your phone, for example) runs out of battery or loses internet connectivity. All lights act as both transmitters and receivers, with a maximum range of 400m and a maximum distance of 80m between each network node. 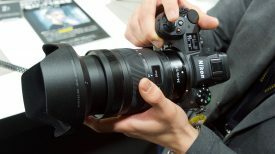 The network supports up to 65,000 connections (!) 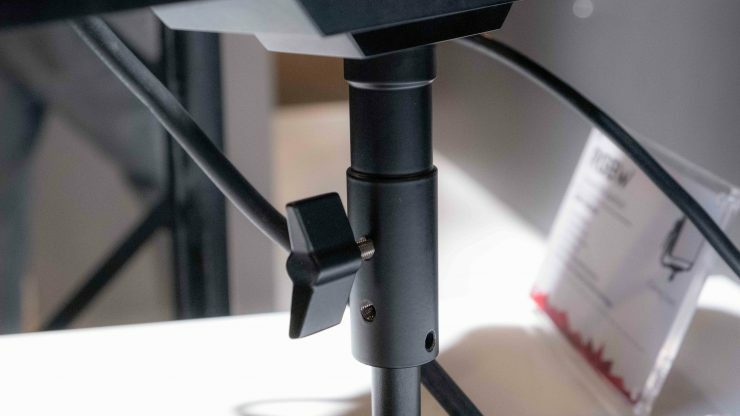 and existing pre-Sidus Aputure lights will be able to connect using a new dongle called the Module Link Bridge. Control of your 65,000 lights is via an app which talks to each light and gets a contextual menu depending on what sort of fixture it is. 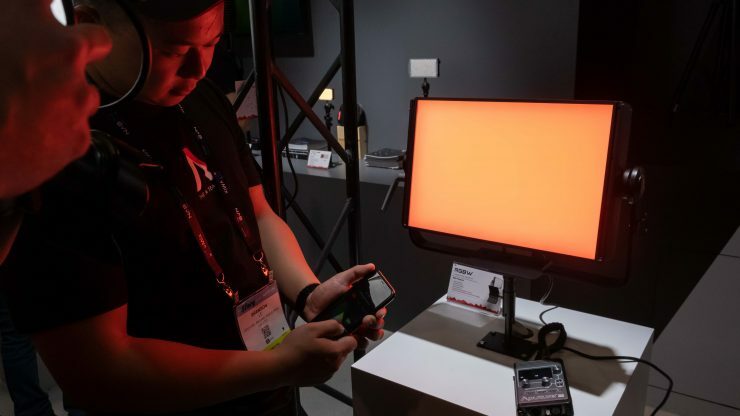 So RGB controls will only appear on RGB fixtures, and colour controls on bi-colour fixtures. 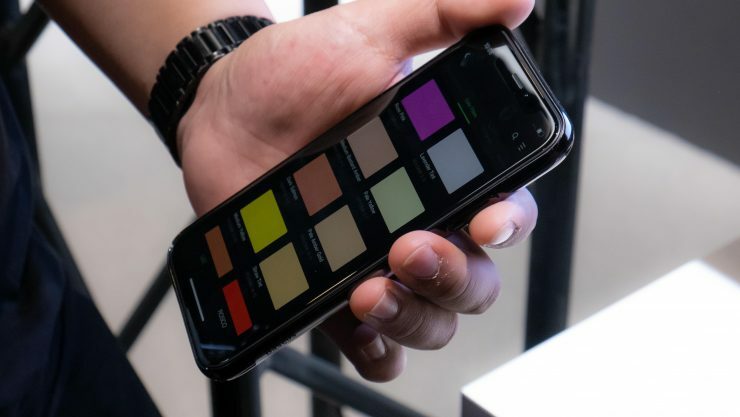 Selecting colour swatches with the Sidus Link app. Control dimming and colour temperature where the fixture supports it. You can set up scenes, store them to the cloud, recall them later and share with other users. 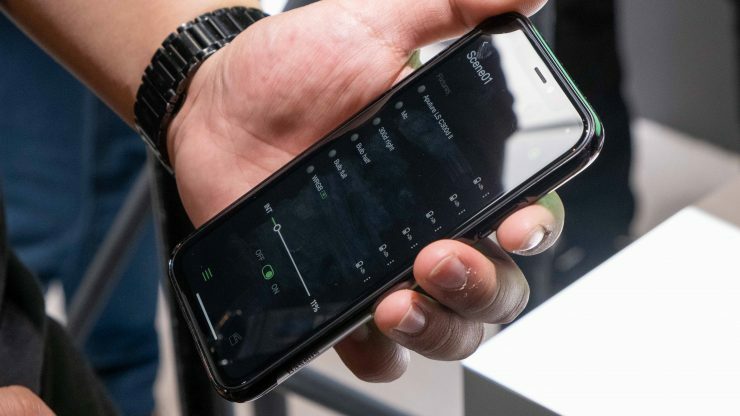 When the hardware supports it the app has Lee and Rosco gel simulation built in, and it can also calculate brightness levels for you. Source match and colour match mode allow you to pick a kind of light or an object in the world, and the lanterns will match it. Setups can be saved, stored in the cloud and shared with other users via a store; there’s also a similar store for built-in effects. But wait, there’s more. 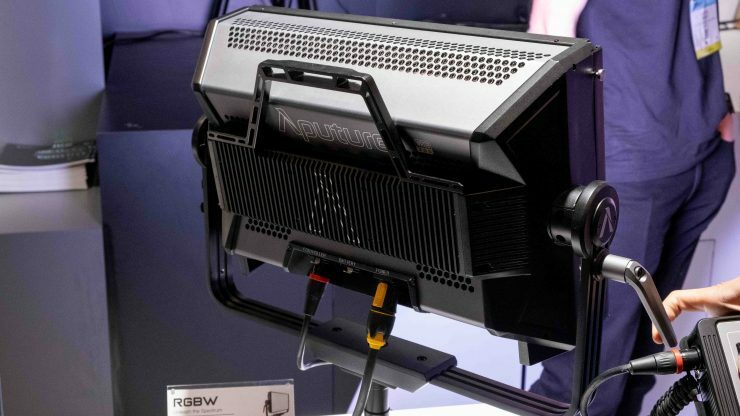 After four years of R&D, Aputure are getting ready to release their ‘heavy duty’ RGB panel light. 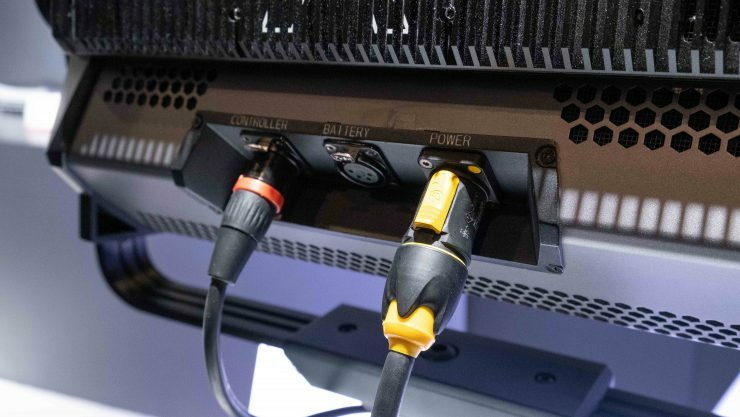 We’ve covered it before, and since then the design has been further refined with new mounting options, a built-in ballast and integrated Sidus Link support. 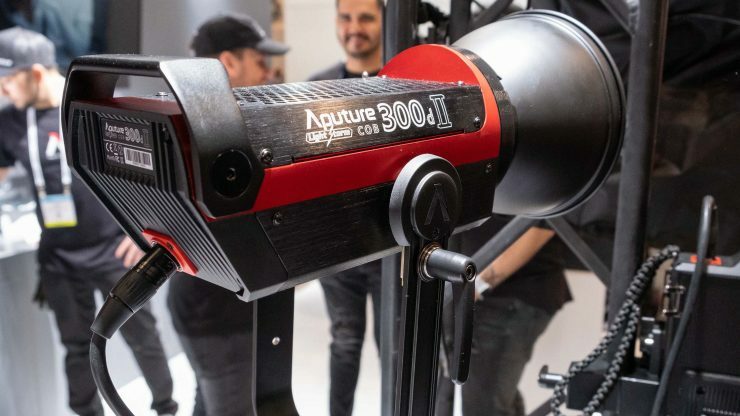 Aputure are saying it’s brighter and has better colour fidelity than the ARRI SkyPanel S30 – which is quite a claim – but illustrates the type of market this product is aimed at.